When I first started honoring my calling in 2011, it was an uphill battle. I had massive resistance every single step of the way. Even though I knew I was called to this work and had received very clear messages from the guides and the Big U, I still felt incredibly and debilitatingly insecure. I struggled to feel worthy to receive and I also struggled to feel safe and secure in my own skin. But, I knew my calling and I had juuuuust enough faith to move forward. Eventually, I started to understand why I had felt so insecure and I was able to address it. 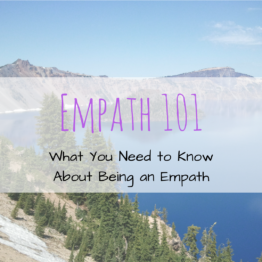 To my great surprise, as I started working with people who were empaths and highly sensitive souls, I realized we were all struggling with the same things. I did my research thing – I talked to hundreds of sensitives, I surveyed hundreds more. I built courses and did one-on-one sessions until I could pinpoint the struggles and how to work through them. Then, I made this video about the 5 main barriers to confidence for sensitive souls. The universe, with its infinite sense of humor, made sure to TEST me to make sure I still knew my stuff… it took over 6 tries to get this video to record properly. HA! But other than some initial annoyance and an intro that definitely speaks to the frustration of tech not working the way I expected, there were no delays due to my confidence. I knew what I was called to do. I knew it was that day. I knew the tech stuff was a normal part of the process – so I kept on working towards my goal. Watch the video below to learn the five barriers to confidence and how to navigate them.